The new C-Class has helped Mercedes achieve its highest ever September sales figure in the UK. Of the 16,265 new Mercs registered last month, 3,855 were the C-Class saloon. 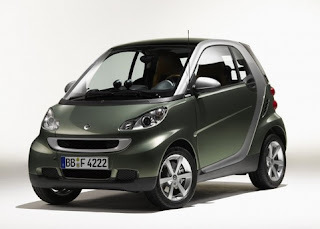 The new Smart Fortwo also sold well: more than 1,000 orders were placed in its first week on sale, which Mercedes says is the best performance it's ever had from a Smart. The S-Class also had a good month, particularly the S320 CDI. The diesel accounted for all but 102 of the 766 S-Classes sold in September and with a wider choice of engines for the C-Class currently being rolled out, Mercedes expects its sales boom to continue. Dermot Kelly, managing director of Mercedes-Benz Cars, said 'To have both our newest models beating all previous records shows how well customers have received the new C-Class saloon and the new Fortwo". Both ranges have performed exceptionally well, despite not yet being available in all variants. 'The results for S-Class are particularly interesting. They show that our customers are buying intelligently - and that they recognise that cars with modern, state-of-the art efficient diesel engines, like our S320 CDI, are more popular than ever before. The diesel S-Class offers excellent fuel consumption with unmatched real-world comfort and performance - it's clearly a very attractive proposition for private and business customers alike.